My studio is on Capitol Hill at 1123 E John St (the SW corner of 12th and John), Seattle. Please bring something you feel comfortable standing and moving in that still allows us access to work with what’s restricted. For most people, modest underwear or swimwear serve this purpose well. Your comfort is really important here, so modify as you need. 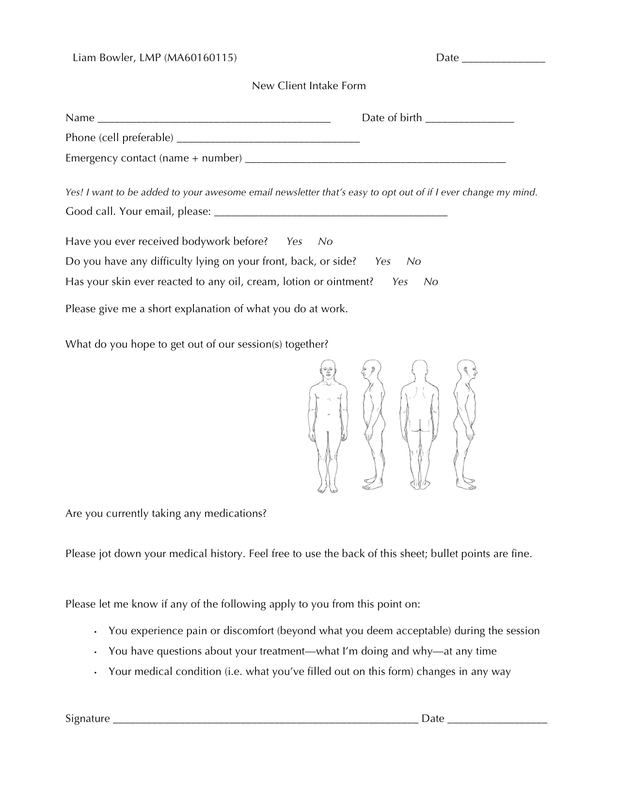 If you can, print and fill out the intake form before you come in. If not, don’t worry; I’ll have one for you at the office. Parking tends to be pretty easy. When you get here, there’s a buzzer at the front door with my business card next to it that you’ll ring, and I may be a minute or two getting down to you. If you have questions about any of this, please send me an email or call.